Not to summer! The 2nd annual Snow mold field day is coming up – snow cover is still on all sites and so a decision on location and time has not been made yet – however – keep your eyes peeled both on the twitter and Facebook feeds – as soon as we know – you will know! As we head towards the end of winter and we get past the annual meetings in San Antonio, the inevitable sentiment of cabin fever begins as everyone wants the snow to melt (maybe not immediately – but soon) and temperatures to warm up. So far winter has had harsh moments and I suspect some poa may suffer from the extreme swings we have seen at times along with wet surfaces that may have occurred prior to the occurrence of cold temperatures.Temperatures and moisture have combined in a favorable manner for the development of snowmold pressure and I would expect to see certainly an impact on roughs. Untreated higher value areas also should expect problems as long as temperatures and moisture prevail. Recovery will require warmth of course and any options available to aid with that should be considered. 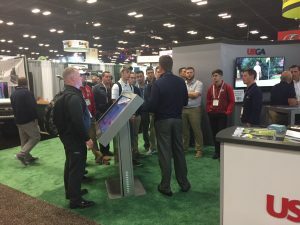 Twelve students made the trip to San Antonio and all enjoyed the trip with tours of the USGA, Toro, Jacobsen booths being some of the highlights as well as competing (first time for all students this year) in the annual turf bowl. 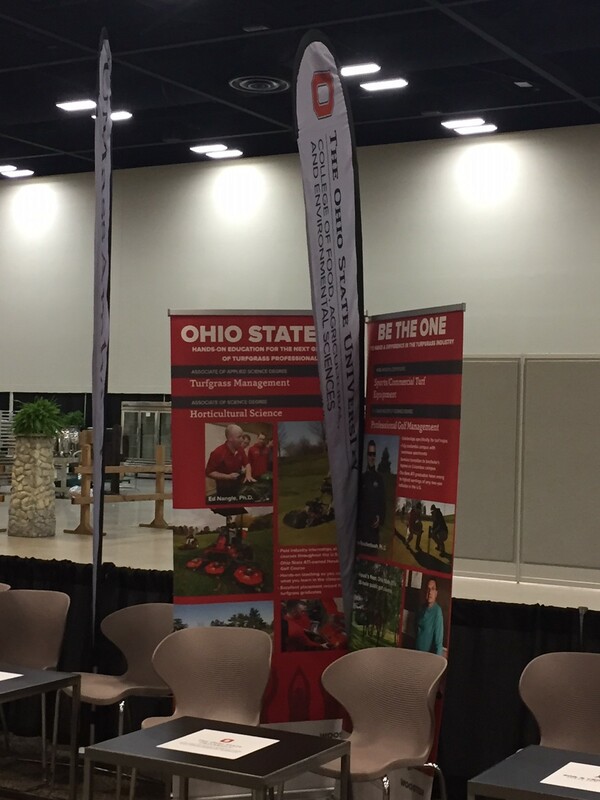 The contest was won by Auburn and the ATI students represented the program excellently. Finally many of the students were able to network and interact with industry peers and as the start out on their own professional track this is certainly one of the events that they will aim to attend on an annual basis. The turf program would like to sincerely thank all of those who contributed to the fundraising effort this year to help cover costs – you certainly made a difference and are greatly appreciated. ← Its GIS time and we are well and truly back in the swing of things.